tourismart lite - manage your hotel for free! 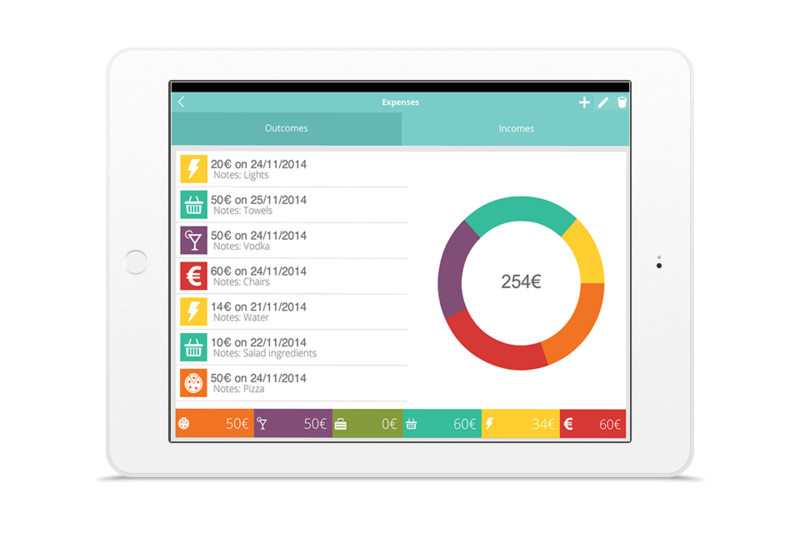 Manage your clientele, guest’s information and get customer insights with graphs. Manage your reservations, check room availability, avoid double booking, access your history, current and future room reservations. Add incomes and outcomes, business overview with fan to use graphs. Tourismart lite helps lodging owners simplify and organize their daily tasks. Guests list, bookings and expenses are now accessible anywhere, no internet connection is required. The application is easily customizable to reflect on your needs and the size of your hotel. 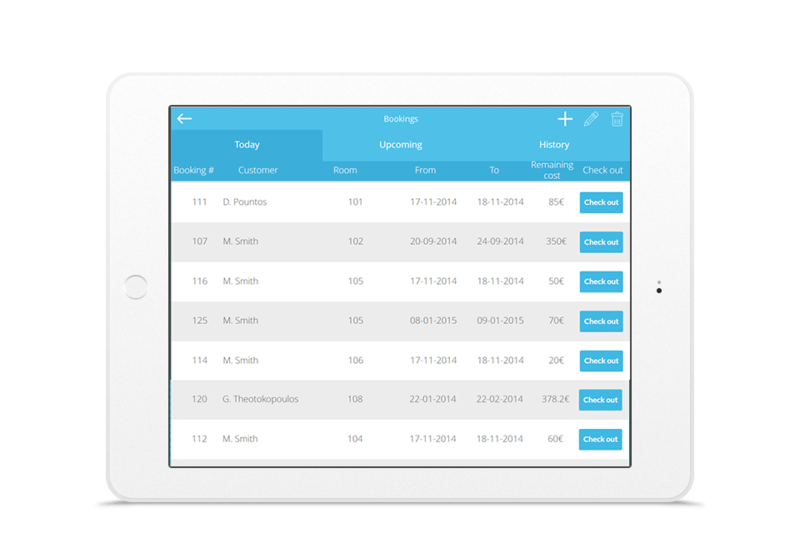 You can quickly check room availability through your tablet and make a booking for a customer even during a call. Keep track of your bookings’ history, current and future room reservations with one click. Keep your guest’s information safe and manage their profile. Organize your income and outcome and get an overview of your business with graphs. With tourismart lite you will definitely avoid delays and it will help you manage your business efficiently, even from the comfort of your couch. Clear interface, great options make this a premium hotel management system. And it’s FREE. 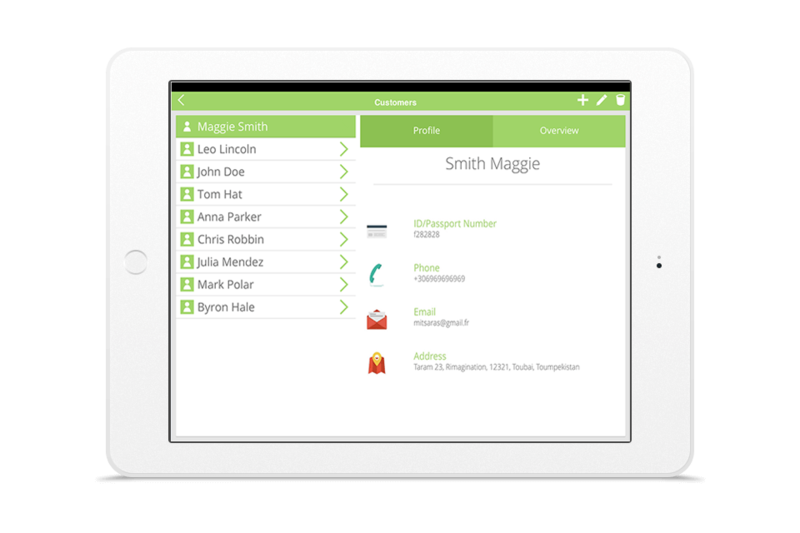 Manage your customers from the comfort of your tablet. No extra products needed. Manage your reservations, find available rooms and dates for your visitors. Keep track of your day by day expenses and incomes.